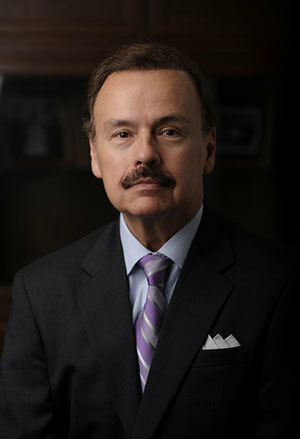 Jimmy Gurulé, professor of law in the University of Notre Dame Law School, with six other law professors who teach and publish in the field of national security law, has filed an amici curiae, or friends of the court brief, on behalf of the families of the 241 U.S. servicemen killed in the 1983 truck-bombing attack on a Marine barracks in Beirut. Gurulé, an expert in international criminal law — specifically, terrorism, terrorist financing and anti-money laundering — has worked in numerous federal law enforcement positions and was instrumental in developing and implementing the U.S. Treasury Department’s global strategy to combat terrorist financing. He has been a member of the Notre Dame Law School since 1989. Originally published by Michael O. Garvey at news.nd.edu on January 04, 2016.